OnePlus the company that has got quite some name with its device called the One smartphone is now supposedly entering the smartwatch market as well with quite a decent looking watch. 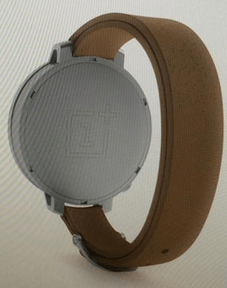 OnePlus SmartWatchThere are some leaks that were released some time back that suggest this is going to be a great watch with some amazing features to compete with the big league. The design that was leaked seems to be copied from Moto 360 with a circular display with a leather strap mostly. The leak also suggests that the device will be having a sapphire glass crystal and also curved batteries embedded into the strap of the watch that is going to be a leather band. The band will be connected to the watch with Titanium borders. There is going to be a single Button of the side of the device that gives it a premium Watch look. It will be a bit of a disappointment as the customization option for changing the strap will be eliminated. None the less this option will surely give the manufacturers use up this space to include new options and better features into their smartwatches. There is no input on what One smartwatch will be running on whether it will be Android Wear or any other OS is not confirmed or at least rumoured about. The device has a low-power OLED display along with wireless charging that is questionable looking at the curved batteries places in the strap. If you see the design, there will be a One Plus logo on the back of the device and from the photos, we can not make out if it will support a Heart rate monitor or not as no trace of any sensors can be seen here. Everything will be cleared once any official news about the device or design is released about it. There have bad experiences and reviews by many customers using OnePlus One about the customer service of the device and hope that the company improves this before the release of their smartwatch.